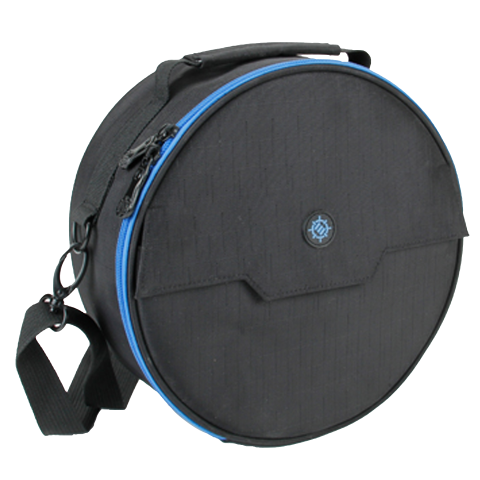 Protection and storage unlike any other, ENHANCE offers a practical and stylish headphones travel case that spares no expense. 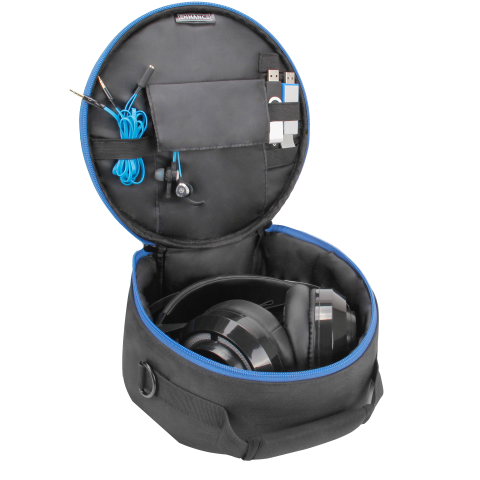 We've designed the headset storage case with 3 principle aspects in mind: Protection, Practicality, and Portability. A dual layered interior provides two types of protection. The first layer is a 1/4 inch foam padding that offers impact resistance and a shock absorbing design to provide protection from minor drops, bumps, and more. The second layer is a hard EVA plastic layer that protects your headset and accessories from scratches, deep cuts, and deflects penetrating objects. 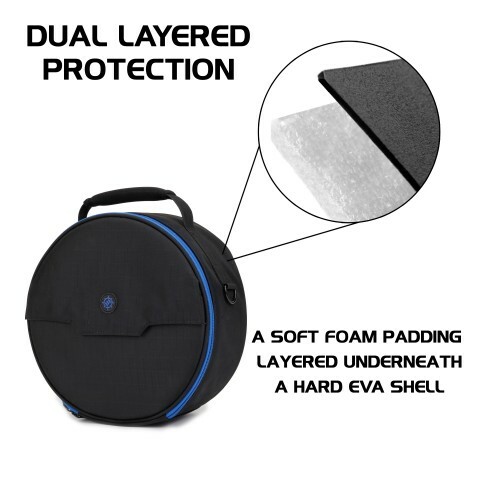 This dual layer of protection is found all around the case including the sides, front, and back of the case. 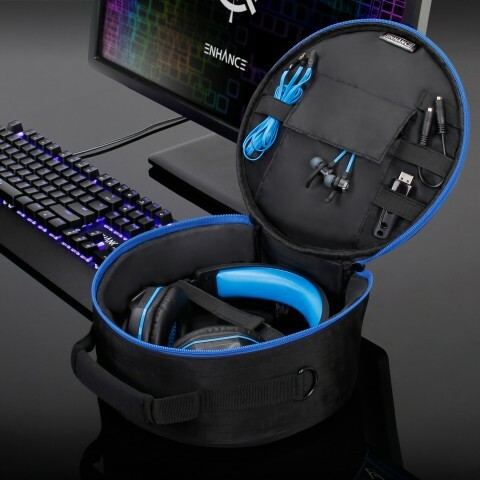 A bi-fold design with a deep pocket fits virtually any headset in a seated position. 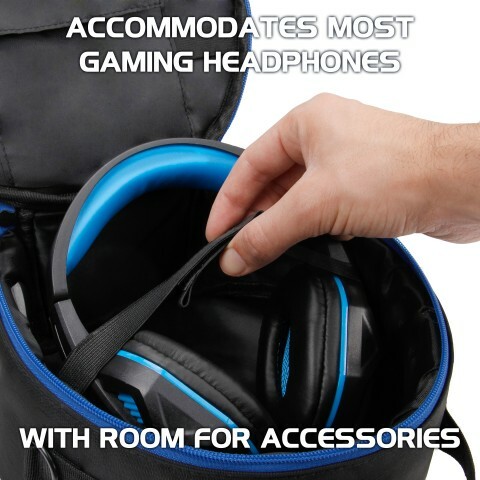 The interior holding section features a hook-and-loop strap to hold your headphones in position and offers enough room for wired headsets cables to coil and be stored effectively. 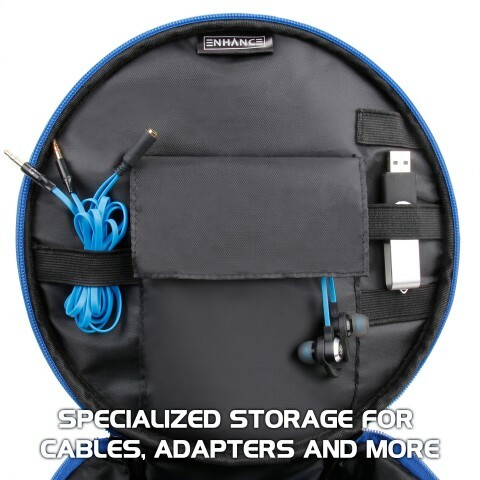 The cover flap features an organizational section with pockets and elastic bands to hold flash drives, earbuds, wireless adapters, USB cables, and much more! 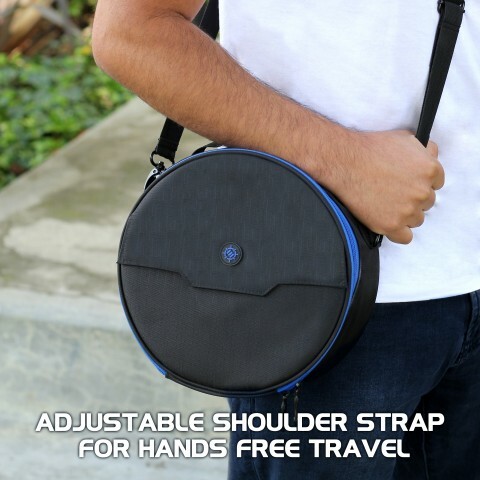 The adjustable and comfort designed shoulder strap accommodates people of all sizes and provides an elegant hands free travel option. 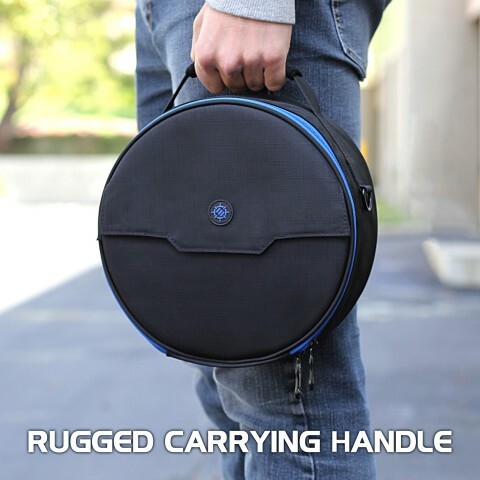 Or grab on to the rugged and heavy duty carrying handle to quickly hit the road when you're in a rush. 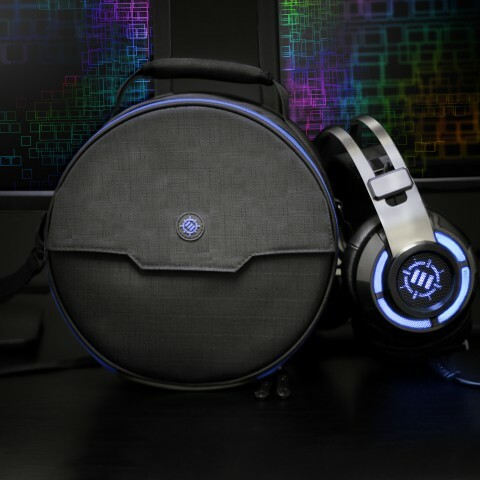 Although spacious enough to fit any headset (Interior: 9 x 9 x 4.25 inches), the circular design and carrying options make the ENHANCE headset case more than just storage, it's a statement.